Smooth out the inside of the finger and thumbholes. Finish sand the beveled edge of the gripping holes and fine-tune as desired quickly and easily. 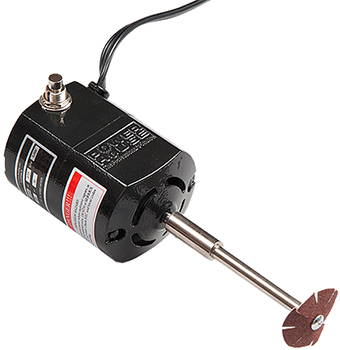 115V, 5000RPM motor. COLOR MAY VARY (BLUE OR BLACK).